This week, we’ll take a look at the foods, culture, and traditions of the Middle East, from Palestinian and Lebanese festivals to restaurants serving falafel, shawarma, and tadig. Check out our Around the World guides for a deeper dive into Egypt, Iran, Israel, Lebanon, and Turkey. Houston Lebanese Festival – Held in the spring and hosted by the American Lebanese Cultural Center, this weekend-long festival celebrates Lebanese culture and heritage through exhibits, delicious food, continuous entertainment, and fun activities that will transport you to the land of the cedars. Houston Palestinian Festival – Every spring, the Palestinian American Cultural Center Houston puts on a Palestinian cultural festival. The event features folkloric and contemporary music and dance, traditional fashion, a grand bazaar of vendors and art, and Palestinian cuisine. Houston Turkish Festival – This annual festival features a grand bazaar offering souvenirs, arts and crafts; traditional music and dance programming; and authentic eats, including kebabs, grape leaves, sujuc, Turkish coffee and more. Houston Iranian Film Festival – Established by the Museum of Fine Arts Houston and Rice Cinema, this annual film festival has been running for 25 years. Screenings take place at both venues and at Asia Society Texas Center, with past films including Asghar Farhadi’s The Salesman in 2017, which went on to win the Academy Award for best foreign language film; and Breath, Iran’s submission for the 2018 awards. Houston Jewish Film Festival – This annual film festival presents a thought-provoking lineup of some of the best Jewish and Israeli films from across the world, featuring entertaining and high-quality documentaries, dramas, comedies, and musicals. Houston Turkish Film Festival – Hosted at the Museum of Fine Arts, Houston this annual film festival focuses on new and unique films from Turkish cinema. Houston Palestinian Film Festival – The Museum of Fine Arts, Houston hosts this annual film festival, showcasing an independent view of Palestine and its diaspora’s society, culture, and political efforts through the art of film. The event is typically held in May. Norwuz/Persian New Year – Each year, the Iranian Cultural Foundation-Houston invites locals to the Nowruz Festival, celebrating the Iranian/Persian New Year in honor of the first day of spring. American Lebanese Cultural Center – Founded in 2014, this nonprofit celebrates the rich, diverse history and tradition that makes Lebanon truly one of the most unique countries in the world. The organization has no religious leanings and is both non-political and non-partisan, focusing on programs and events to showcase Lebanese culture and heritage throughout the year. Follow along on Facebook and look out for meet & greets, picnics, holiday parties, scholarship awards, and luncheons. American Turkish Association Houston – This local nonprofit was founded in 1979, offering a variety of social, educational, cultural and charitable activities, and aiming to provide assistance to Turkish citizens living in Houston. Arab American Cultural & Community Center – Formed in 1995, the Arab-American Cultural and Community Center is a non-profit organization that offers cultural programs, outreach, and social services. The group promotes Arab culture and heritage, serves as a liaison and resource center, and sponsors social and educational events like culture night. Its summer camp curriculum offers an introduction to Arabic classes for kids in three levels. Egyptian American Society of Houston – This community organization promotes Egyptian-American heritage and culture and connects Egyptian-Americans living in Houston, from artists, professionals and scientists to builders, businessmen and business women. Evelyn Rubenstein Jewish Community Center – Since 1936, the Evelyn Rubenstein Jewish Community Center has been a place where families and individuals come together for friendship, affiliation, and socialization. The organization promotes the development and strengthening of Jewish identity, fostering Jewish values and enriching the Jewish community and the greater community. Its programs cover everything from early childhood to senior services; and the center even hosts an in-house café, Laykie’s Gourmet Cafe at the J.
Iranian Cultural Foundation-Houston – A non-profit, non-political organization with no religious affiliation, Iranian Culture Foundation-Houston aims to foster the educational, social and charitable interests of the Iranian-American community, promoting the appreciation of Persian culture. The foundation offers Iranian holiday celebrations, cultural and historical showcases, charitable events, concerts, lectures, and youth and language programs. 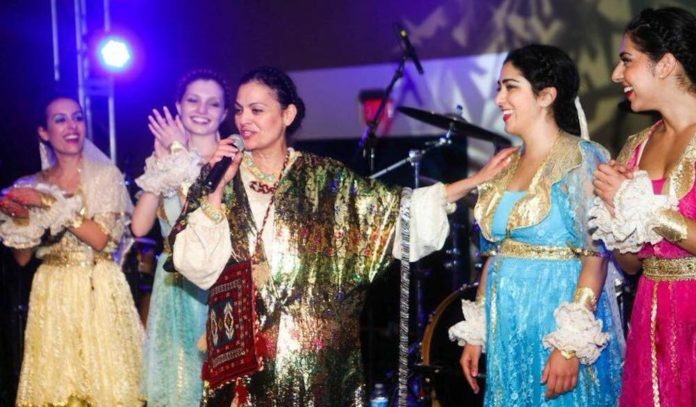 Palestinian American Cultural Center Houston – This cultural organization unites and empowers the Palestinian American community in and around the Houston area, promoting cultural, educational, and humanitarian programs. Follow its Facebook page for upcoming events and community updates. Raindrop Turkish House – Founded by Turkish-Americans in Houston in 2000, this nonprofit women’s association now operates in six states: Texas, Arkansas, Kansas, Oklahoma, Mississippi, and New Mexico. The foundation aims to cultivate friendship and promote understanding of diverse cultures, establishing bridges between the Turkish and American cultures and communities by providing easily accessible educational, social and cultural services. Register for cooking and language classes, coffee nights and more. Arts of the Ancient World at the Menil Collection – The Menil’s holdings of art from the ancient world span an impressive 20,000 years of artistic achievements, with over 600 pieces of Paleolithic artifacts and objects from the civilizations of the ancient Mediterranean, Egypt, and the Near East. Hall of Ancient Egypt at the Houston Museum of Natural Science – This permanent collection showcases the ancient Egyptian civilization, which flourished for more than three millennia in the Sahara desert. See the primary civilization in its full glory, from hieroglyphics artifacts collected during these early days of exploration to exhibits comparing old-style archaeology with 21st-century approaches. The Museum even has its own mummy, Ankh Hap. Museum of Fine Arts, Houston – The Art of the ancient world collection greets museum visitors in the atriums of the Audrey Jones Beck Building. Glowing with natural light, works from ancient Egypt include a spectacular coffin of the priest Pedi-Osiris and a rare sculpture of the god Thoth as an ibis. The Art of the Islamic Worlds collection showcases the diverse artistic traditions of Islamic land, with objects ranging from carpets and architectural fragments to ceramics, metalwork, jewelry, scientific instruments, and manuscripts. Al Aseel Grill & Café – Nosh on Palestinian chicken at this popular Middle Eastern grillhouse, located on the westside. The Musakhan chicken comes roasted by the whole or half, smothered in a mixture of onion and sumac and set atop warm flatbread. You can also get the bird spiced and crispy fried. Alwadi Mediterranean Sandwiches – It’s not just about pita sandwiches at his Mediterranean and Middle Eastern grill; you can also get delights incorporating culture, flavors, preparations and culinary inspiration from Lebanon, Italy, and Greece. Head here for hummos, baba ghanouj, kibbe, falafel, shawarma and basbousa, a traditional Middle Eastern dessert made from semolina and soaked in syrup. Avesta Persian Grill – Located in the Westchase Shopping Center, this neighborhood restaurant and grill combines authentic Persian and Middle Eastern cuisine, with menu items from tadig (golden crusted rice) and gormeh sabzi (green herb stew with beef) to fesenjan (chicken stew flavored with pomegranate and walnuts) and koobideh kabob (char-broiled ground meat). Finish with Persian ice cream kissed with saffron, rose water, cardamom, and almond. Barbar Mediterranean Grill – Hit this fast casual spot for authentic Halal Lebanese and Mediterranean cuisine on the cheap. Start with fatoush salad or a meze featuring hummus, baba ghanouj, tabbouleh and falafel; then move on to shish taouk (chicken skewers), makanik (Lebanese beef sausage) and lamb kababs. Beeezzz Doner & Kebap – Check out this westside food truck, which slings quality doner and kebap plates, wraps, and sandwiches late into the night. Bijan Persian Grill – This Hillcroft favorite offers Persian delights like tahdig, gheymeh stew, kabab barg and faloode, a Persian noodle dessert. Café Caspian – Journey through history at this ornate Persian restaurant, with dishes from joojeh kabob (Cornish hen) and mahicheh (lamb shank) with sabzi polo (herbed rice). Cafe Lili Lebanese Grill – The Bejjani Family has been proudly serving Houston fine Lebanese cuisine since 1991. Hit the Galleria-area spot to feast on stuffed grape leaves, fried kibbie, labneh, moujadra (lentils with rice), and kabob plates and sandwiches. Don’t forget to save room for some Lebanese coffee, baklava, and maamoul cookies. Café Luxor – Decked out in luxe Egyptian décor, this Washington Ave hookah bar and restaurant is a good time. Visit for falafel, hookah, and belly dancing. Chef on the Run Halal – It’s all about shawarma and kebabs at this popular halal food truck. Dandanah Cafe & Grill – This hookah bar and grill dishes out traditional offerings—hawawshy (Egyptian meat pies), mombar (sausages stuffed with spiced rice), koshary (rice, macaroni and lentils) and ful medames (stewed fava beans) simmered in tomatoes, cumin, and lemon tahini—alongside modern offerings like brick oven “King Tut” pizzas and Nutella feteerah. Don’t miss the DJ rocking out every Friday and live belly dancing every Saturday. Darband Shishkabob – Another Hillcroft haunt, this casual Persian kabob house has been serving Houstonians since 1986. Get stews, kabobs, and rice alongside a variety of sweets. Empire Turkish Grill – This elegant Memorial restaurant offers a bouquet of Turkish flavors, with entrees from lamb sis kebab and filet mignon adana to erista Turkish pasta with kremali tavuk (chicken with cream), plus an $11.95 lunch special. Ephesus Mediterranean Grill – Over in Katy, Ephesus offers a blend of Turkish, Mediterranean, and Middle Eastern eats, from sis kebab and chicken with cream to kunefe dessert. Fadi’s Mediterranean Grill – Born and raised in Saida, Lebanon, Fadi’s chef and founder Fadi Dimassi is dedicated to serving authentic Mediterranean fare to community. Hit one of the three area locations to fill your plate with falafel, shawarma, kafta (Lebanese beef kabobs), kousa (stuffed zucchini), siyyadiyeh (fish and rice), zaatar bread, hummus, and fattoush salad. Fadi’s also rocks a banquet hall for special events. Garson Restaurant – Open since 1992, Garson specializes in traditional Persian food, from lamb shank and gheimeh bademjan (Persian-style tomato beef and eggplant stew) to chengeh kabab and mirza ghassemi (grilled eggplant appetizer). Genesis Steakhouse & Wine Bar – Houston’s first and only Glatt Kosher steakhouse is an elegant affair. In addition to its regular menu of ribeyes, chops, fish, and Israeli dishes like falafel, tabouli, and matbucha, the eatery also offers special menus for Passover, Shabbat and more. Istanbul Grill & Deli – Transport yourself straight to Istanbul at this charming Rice Village haunt, which offers dishes like mercimek (red lentil soup) and kelle paça (beef stew), döner and köfte sandwiches and kebab, lahmacun and pide (like Turkish pizza and calzone), and baklava and fιrιn sütlaç (rice pudding). Jerusalem Halal Meats – Hit this Hillcroft market to pick up a variety of Halal meats, imported grocery items and spices, baked breads, fresh produce, hot items, and Middle Eastern sweets. Kasra Persian Grill – Tucked away on Westheimer near South Gessner, hit this family-run joint for Persian specialties like saffron chicken with zereshk polo (barberry rice), ghormeh sabzi stew with lamb shank, and filet mignon kabob barg. Mary’z Mediterranean/Lebanese Cuisine – With three locations, Mary’z Lebanese Cuisine is a family-owned spot that strives to bring authentic Lebanese and Mediterranean food to Houston. Feast on maqanik (Lebanese-style spiced beef sausage), sujok (mildly hot homemade beef sausage flavored with garlic), kibbi (ground beef suffed with minced meat, sautéed onions, pine nuts and deep fried); labne (thick yogurt cheese garnished with olive oil), stuffed grape leaves, falafel, za’atar-spiced flatbreads, and chicken shawarma platters. And tack on namoura, baklava, Lebanese coffee, and fresh juices. You’ll also find hookah. My Pita Israeli Cuisine – This Glatt Kosher café serves up a number of traditional Israeli favorites—think falafel, shawarma, pargiot and shakshuka—falongside overstuffed sandwiches, salads, soups, and desserts. The eatery also offers catering, breads, and custom cakes. Nazif’s – You’ll want to do Sunday brunch at this Galleria-area Turkish haunt; that’s when you’ll find live music, strong tea and coffee, and an impressive, buffet-style spread of traditional Turkish breakfast items. Lunch and dinner—offering a la carte dishes like Turkish sausage pide, adana kebap, and mixed grill—are no joke either. One Fifth Mediterranean – Shepherd’s rotating restaurant concept will be focusing on Mediterranean and Middle Eastern flavors through July of 2019. Get Turkish hummus, muhammara hot pepper dip, tah dig, and merguez, lamb sweetbreads, and bycatch cooked al ha’esh (on the fire). Pasha – Pasha has been serving locals Turkish and Mediterranean fare since 2004, with dishes including traditional Turkish red lentil soup, imam bayildi (stuffed eggplant), sigara börek (fried cheese pastry), doner and kofte kebab, alinazik (tender lamb over eggplant puree), manti (Turkish ravioli), menemen (an egg and vegetable dish), lahmacun (Turkish pizza), and kazandibi (a flan-like caramelized custard). Petit Café Mediterranean Grill – Head over to this Energy Corridor café and start with maqanek, homemade Lebanese-style spiced sausages sautéed with onions, tomatoes and drowned with lemon juice; or batata harra, literally “spicy potatoes.” Then, dig in to kafta and chicken kabob, mixed grills or falafel plates alongside fattoush or Lebanese house salad sprinkled with dried mint. Ranosh Cafe – Get Middle Eastern specialties at this casual Woodlake cafe, and be sure to check it out for hookah, coffee, and tea, too. Saba’s Grill & Wok – Over in Meyerland, Saba’s Grill & Wok combines Chinese fusion with Israeli cuisine. Nosh on beef dumplings, babaganoush and hummus, kabobs, falafel and schnitzel with laffa bread, and sweet and sour chicken, garlic noodles, and fried rice. Sabas Restaurant – This family-owned Kosher restaurant has been feeding locals a variety of dishes since 2001. Guests can enjoy Israeli breakfast plates loaded with eggs, feta, cucumbers, and tomatoes or hardboiled eggs, hummus, and jachnun, an Israeli pastry. The menu also features Israeli salads and bagel toasts, shakshuka, malawach and falafel plates, schnitzel fish, sushi, pizza and more. Sawa Restaurant & Grill – Fusing Mediterranean and Lebanese cuisines, this Bay Area eatery offers a menu featuring labneh, grape leaves, tabouli, layali libnan (Lebanese Nights dessert), and shavings of fresh chicken and beef along with halal options, plus full catering services. Shawarma Stop – Get a taste of the Middle East at this shawarma spot. Start with hummus, tabbouli, and falafel before moving on to build-your-own shawarma bowls and pitas. Turquoise Grill – Head to Sugar Land Town Square to find Turkish specialties like sigara boregi (fried cheese and phyllo rolls), haydari (yogurt dip), sujuk (dried beef sausage) shish kebab, and mini lahmajun (flatbread pizza), in addition to other Mediterranean-inspired fare. Zabak’s – This second generation Middle Eastern and Mediterranean café continues its family legacy, showcasing authentic recipes from the family’s Palestinian heritage. Dine on hummus and baba ghanouj, tabbouleh and fattoush salads, kebabs and falafel, and pistachio or walnut baklava. Abdallah’s Lebanese Restaurant and Bakery – Started as a warehouse bread-baking business by brothers Elias and George Abdallah in 1976, Abdallah’s has grown into one of Houston’s most beloved Lebanese spots. Get a taste of Lebanon with fresh pita bread, za’atar bread, spinach pies, and desserts, from nammoura cake and rice pudding to burma pastries and maamoul cookies; and hit the mom-and-pop restaurant for labneh, baba ghannouj, kibbe balls, shish taouk, stuffed cabbage, mughrabieh (a Lebanese couscous dish) and kabob sandwiches and more. Cedar Bakery – Specializing in foods of the Mediterranean, Cedar’s offers a variety of manakish, or Lebanese flatbreads topped with things like cheese, za’atar, labneh and shawarma. While you’re there, pick up some baklava and pita to-go. Droubi’s Bakery & Deli – Founded in 1979 as a bakery for Lebanese pita bread, Droubi’s eventually grew into one of the largest Middle Eastern retail stores in the USA. In the ’80s, the company bought a Mediterranean import competitor, combining to bring a taste of the Middle East and the Mediterranean to Houston. Part bakery, part deli, part restaurant, part catering business and part supermarket, come here to get imported cheeses, olives and oils, plus freshly prepared goods like lamb shank, shawarma, Lebanese-style grape leaves, tabouli salad, pastries, and freshly baked pita, of course. Phoenicia Specialty Foods – Started over 30 years ago by Bob and Arpi Tcholakian (formerly of Lebanon and of Armenian descent), this bustling international market now hosts two locations. Both offer fresh produce, meats and seafood, cheeses and baked goods and a plethora of gourmet eats, with a special focus on the Mediterranean and and Levantine cuisine. Visit to find traditional meze including tabbouleh, hummus, and baba ghanoush, plus things like slow-roasted lamb shank, labneh, fresh chickpeas and freshly baked pita. Move along and you’ll find a tapestry of fresh and imported goods, from fresh chickpeas and ancient grains to spices like za’atar, sumac, allspice, and cinnamon. In the 55,000-square foot Westheimer location, you’ll also find Arpi’s Deli, a restaurant specializing in slow-cooked meats and meze. Simit & Poacha – Hit this westside bakey to pick up simit (think of it like a Turkish bagel), su borek (baked pastries) filled with feta cheese or chocolate and pide (Turkish pita) topped with things like mozzarella, soujouk sausage, and spinach. Suzie’s Pastry Shoppe – Hit this Richmond bakeshop to get your fill of authentic homemade sweets, from baklava, kenefa (cheese soaked pastries), and ghraybeh (Lebanese butter cookies) to mafrooki (pistachio cream cake) and mamool pastries with dates, pistachios, walnuts, and cream. Three Brothers Bakery – In 1949, brothers Sigmund, Sol and Max opened the first Three Brothers Bakery on Holman Street. Today, the popular bakery has three locations, each of which offer everything from chocolate babka, rugelach, and hamantaschen to a variety of challah and holiday sufganiyot. Arabic Language Institute – Established in 2015, this language school was formed with the purpose of teaching languages to the youth of Houston and surrounding areas. Arabic School at the Arab American Cultural Center – This cultural center offers introduction, intermediate, and advanced language programs from youth and adults. European School of Languages – Learn Arabic at the European School of Languages, where the classes are designed for all adults and education professionals who either want to start learning Arabic for the first time or want to maintain/improve their level of comprehension and pronunciation. Farsi School of Houston – Established in 1992, the Farsi School of Houston welcomes people of all backgrounds to participate in learning the beautiful language of Farsi, offering a wide array of classes for those with a fairly basic Farsi background to those who have none at all. Classes are also offered for adults and children who are at entry-level in Farsi speech. Hebrew Language Classes – Learn Hebrew at the Chai Learning Center of West Houston or Congregation Beth Israel, which offers two Hebrew programs for adults—Adult B’nei Mitzvah and Adult Hebrew. Iranian Cultural Foundation School – The Iranian Cultural Foundation-Houston offers youth curriculums and Persian language, drawing and dancing classes on Sundays, plus a variety of literature and cultural classes such as Poem Night, Shahnameh, History, and Hafez Shenasi. Adult Farsi, art and dance classes and private music lessons are also available. ALCC Youth Club Houston – This community youth group is part of the American Lebanese Cultural Center. The Challah Club – Every Third Thursday of the month, the Bellaire Jewish Center invites guests to learn how to make challah in a social setting. Sign up for $7. Houston Arab & Muslim Community – This Facebook group was created to connect Arab/Muslim residents in Houston. Houston Hillel – This non-profit strives to enrich the lives of Jewish students and young professionals so that they may enrich the Houston Jewish community and the Jewish people and the world. 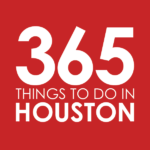 Houston Persian (Farsi) Speakers and Learners – This public meetup connects locals who speak Farsi or who are learning and want a relaxed atmosphere to practice, as well as those curious about the Persian culture. Jewish Federation of Greater Houston – The Jewish Federation of Greater Houston is a volunteer organization that strengthens the Jewish community, from Houston to Jerusalem. Check out the community calendar for events. Lebanese in Houston – This Facebook group connects Lebanese community members in Houston. Turks in Houston – This Facebook group connects Turks living in and around the Houston area. Young Jewish Professionals Houston – This group offers a chance to connect with other young Jewish professionals in a welcoming, relaxed and spirited setting. Look out for events like First Fridays Shabbat Dinner and Cocktails, networking socials, and classes. Arab Voices Radio Talk Show – Tune into 90.1FM (89.5FM in Galveston) to listen to this award-winning independent radio talk show, which showcases special programs and covers a wide range of topics including the history of the Arab world, culture, world events and more. Jewish Herald-Voice – This Jewish community newspaper has been serving the Greater Houston area and the Texas Gulf Coast since 1908. Lebanon Times Magazine – Find this monthly Arabic-English magazine at spots like Abdallah’s Bakery, Cedars Bakery, and Fadi’s. Israeli Folk Dance Classes – These dance classes are open to anyone who wants a taste of Israeli culture and a laidback environment. The open dance sessions offer instruction and review of classics along with today’s most popular Israeli folk dances, including couples and line dances. Drop-ins are welcome for $4/member and $6/public, with class packs available. NiaMoves – Treat the mind, body, and soul while learning the art of Egyptian belly dancing with a class at this spirited Heights-area studio. Beginner and intermediate lessons are available.